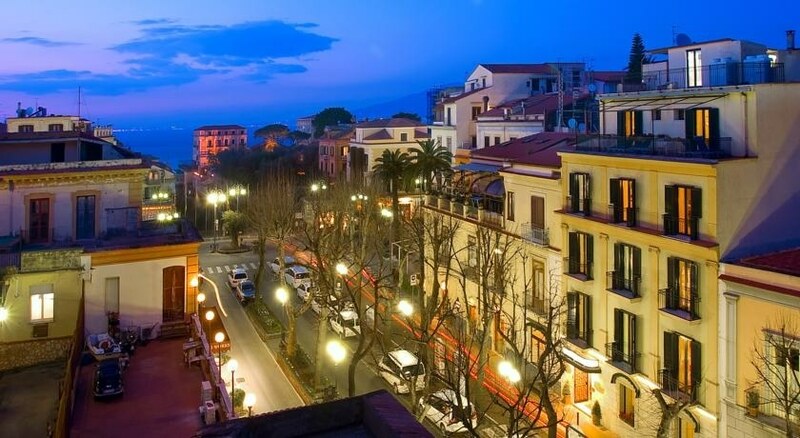 This stylish and romantic hotel is located just off of the Piazza Tasso in the centre of Sorrento. The Museo-Bottega della Tarsia Lignea, which displays a collection of inlaid wooden furniture as well as 19th-century paintings, and the Museum Correale are both within easy walking distance. 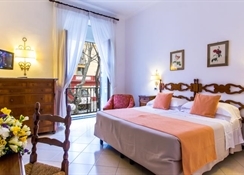 Visitors might take a short stroll down to the seashore and peaceful harbour, or take a day trip to Capri or the gorgeous Amalfi Coast.The classic and tastefully furnished guest rooms are cosy and bright, many with balconies looking down to the bay. Guests might start the day with breakfast in the charming breakfast room before inquiring with the friendly, multi-lingual staff in the 24-hour reception for information on the best local sights and places to dine. For a relaxing holiday on the Riviera Napolitana, this hotel offers an unforgettable stay. 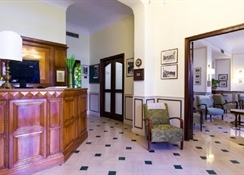 The Hotel is an exquisite small property situated in the very centre of town- just off Piazza Tasso. 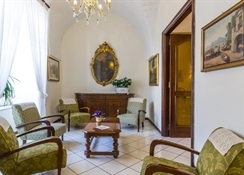 This historical structure was one of the first hotels in Sorrento and dates back to the year 1854- the high standards of then are still maintained today that make this Hotel very precious place to stay. The nearest airport to Sorrento- only 50 km far- is Capodichino.